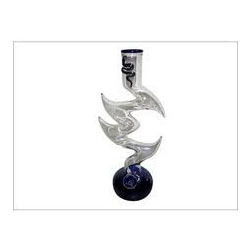 Offering you a complete choice of products which include glass bong special feature spider diffused water pipe 12 inch, glass jong bong and jong bong. Owing to our proficiency in this business, we are offering our patrons a supreme quality range of Jong Bong. This Jong bong is extremely demanded among people for its amazing quality & durability. The offered Jong bong is designed in adherence with the market norms by utilizing finest material. Our customers can take this Jong bong from us in various stipulations along with different packaging options. We offer this Jong bong to our clients at pocket friendly rates.